EDINBURG — After picking up his fourth foul on a technical early in the second half, Xavier McDaniel Jr. sat on the UTRGV bench for nearly 15 minutes of game time. On Monday, McDaniel had a conversation with coach Lew Hill about playing his role, and the results were showing on Thursday. At the time he went to the bench, he was leading UTRGV in scoring and rebounding. And then, he waited. “It’s always tough, having to sit down and watch,” McDaniel said. He finally checked back into the game at the under-4 media timeout and made his presence felt. McDaniel scored UTRGV’s final two field goals, converting a layup with 1:57 to play and a 3-pointer with 51 seconds remaining to help lift UTRGV to an 83-81 win against Grand Canyon at the UTRGV Fieldhouse. McDaniel finished with 17 points on 7-of-9 shooting, including 3 of 3 from beyond the arc. He added five rebounds despite playing just 17 minutes before fouling out in the game’s closing seconds. He admitted to usually being guilty of fishing for shots but said he let the opportunities come to him on Thursday, benefitting from his chat with Hill. UTRGV improved to 13-12 overall and 4-4 in WAC play by knocking off GCU, which entered in second place in the WAC before falling to 6-3 in the conference and 17-8 overall. 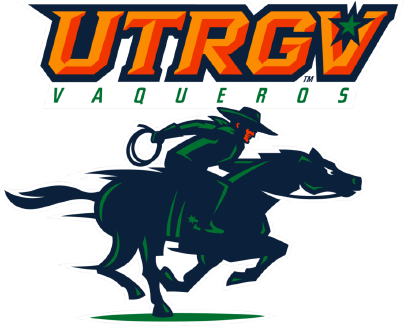 The win is only UTRGV’s second in 10 all-time matchups against Grand Canyon, with the first coming on Jan. 24, 2015. UTRGV has a .500 or better record in conference play during the second half of the league season for the first time since joining the WAC for the 2013-14 campaign. The milestone win did not come easily, as neither team led by more than 3 points during the final 15:44 of Thursday’s game. Alessandro Lever scored 11 points during the final five minutes for the Lopes, with nine of them coming at the free-throw line. Grand Canyon consistently threw the ball inside late, earning trips to the line seemingly at will. The Lopes hit 30 of 37 attempts at the charity stripe for the game. UTRGV also spent a lot of time at the free-throw line late, with Nick Dixon hitting 4 of 4 down the stretch on the way to a 22-point night. After McDaniel hit a 3-pointer to give UTRGV an 80-79 lead with 51 seconds to play, Lever earned a trip to the free-throw line for the Lopes but missed both — he had been 12 of 12 at the stripe prior to that point. Dixon hit two free throws to extend UTRGV’s lead to 82-79 with 21 seconds to play, then Lever hit a pair of free throws after an offensive rebound to pull GCU within one with 7 seconds to play. After Mike Hoffman hit 1 of 2 at the line to give UTRGV a two-point advantage with 6 seconds left, Lever missed a layup at the buzzer to seal UTRGV’s win.